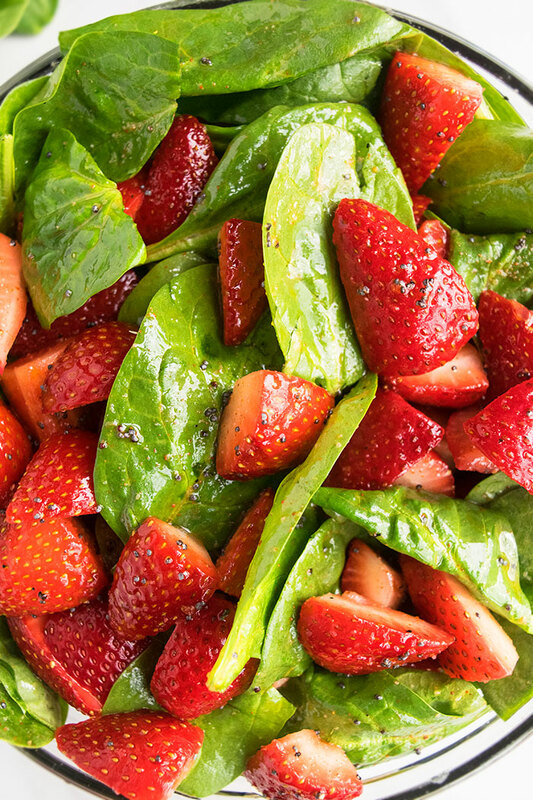 Quick and easy strawberry spinach salad recipe with poppy seed dressing, made in 10 minutes in one pot. 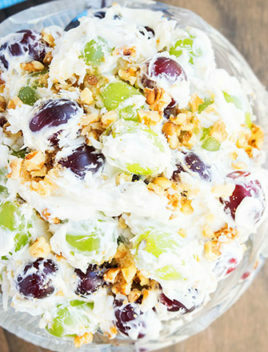 This classic healthy salad has many variations. This is one of the the best Summer salads I have ever had. 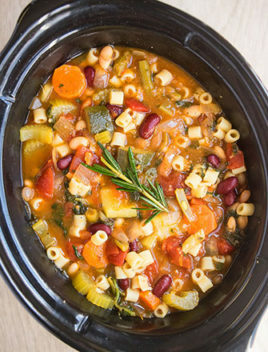 It’s made with simple ingredients. 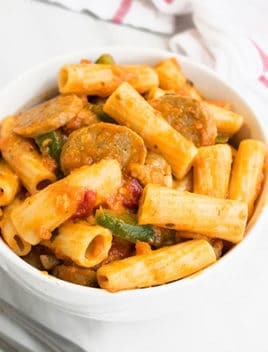 It’s light but flavorful and great for hot Summer parties, picnics and potlucks. 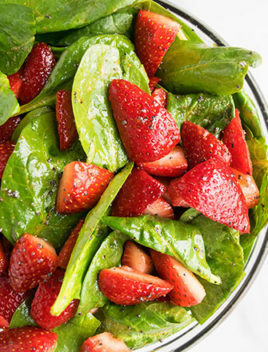 How to make strawberry spinach salad recipe? Add oil, vinegar, honey, poppy seeds, mustard seeds, salt, pepper in a deep bowl. 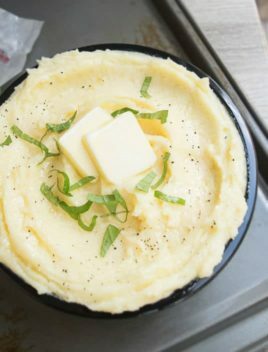 Whisk it together until combined. What to serve with salad? What dressing goes on spinach and strawberry salad? Pour it over your green salad. Sprinkle 1/4 cup crushed roasted pecans on top, prior to serving. Candied pecans is another delicious addition. Sprinkle 1/4 cup crushed roasted walnuts on top, prior to serving. Sprinkle 1/4 cup crushed roasted almonds on top, prior to serving. Mix in 1/2 cup baked or grilled shredded chicken or small 1 inch chicken pieces to add some protein. Sprinkle 1/4 cup cooked bacon crumbs on top, prior to serving. 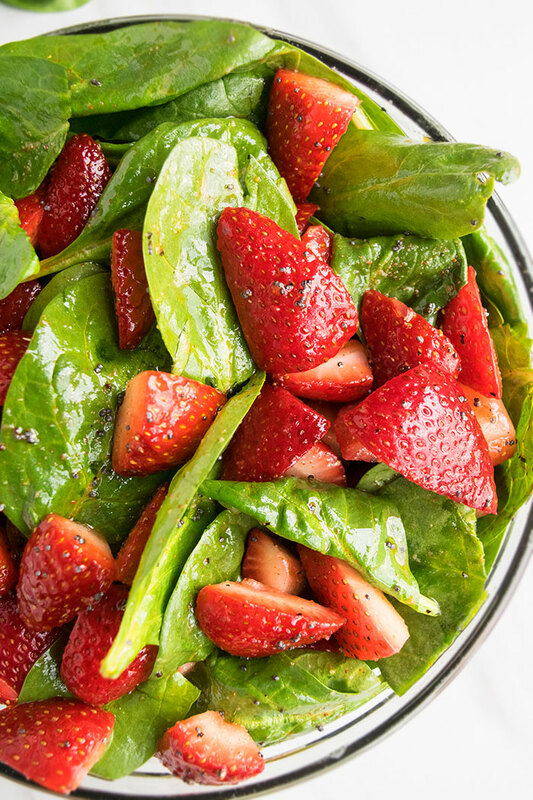 Spinach Strawberry Balsamic Salad– Replace the poppyseed dressing with a balsamic dressing. Peel, slice and cut 1 avocado into small 1 inch pieces and mix that into this salad. Mix in 1/3 cup finely sliced red onions. Mix in 1/2 cup boiled quinoa to make this a very hearty and filling salad. Sprinkle 1/4 cup crumbled feta cheese on top, prior to serving. You can make the dressing separately and use pour it over the strawberries and spinach, just prior to serving. 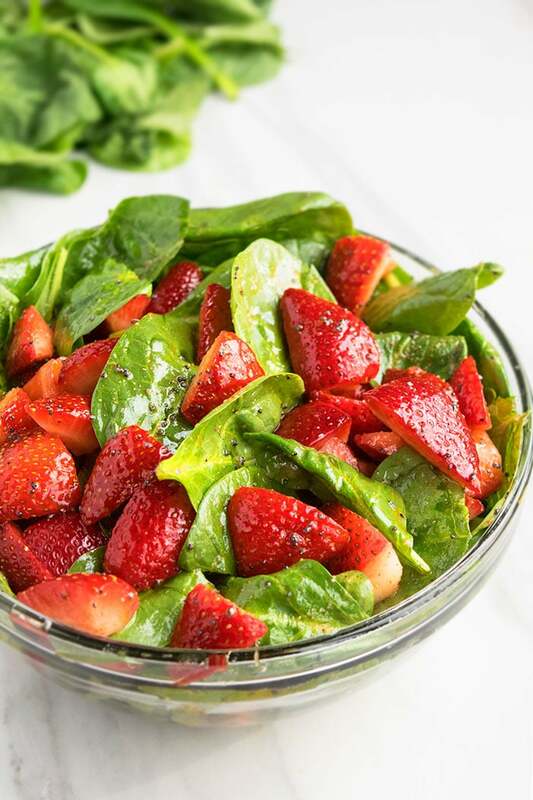 Once the dressing has been mixed into the spinach and strawberries, salad must be served immediately for best flavor and texture. Mustard seed powder is optional but highly recommended. Use very ripe strawberries for best fruity flavor. Use fresh baby spinach and not frozen spinach because frozen spinach is just wilted and releases a lot of water. 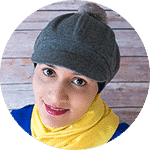 In a large salad bowl, add oil, vinegar, honey, poppy seeds, mustard powder, salt, pepper and whisk everything together until combined. Add spinach and strawberries and toss everything together. Serve immediately. Enjoy!